Dish Network hit the ground running with its Sling TV service a week ago today, and it shows no signs of slowing down. 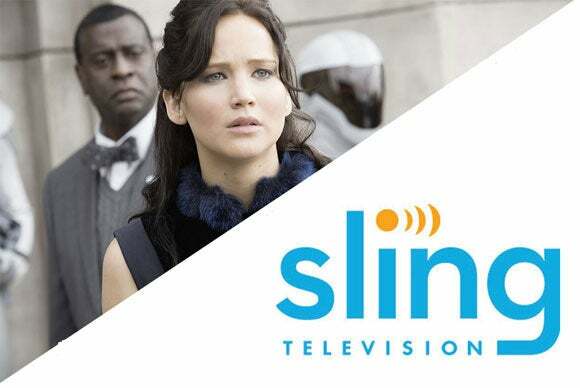 Just the opposite, Sling TV is about to get a boost in programming that goes beyond sports and basic cable thanks to an agreement it inked with premium movie channel Epix. In the coming weeks, Sling TV will offer its subscribers the full lineup of Epix movie channels and more than 2,000 on-demand movies and TV shows. Pricing and availability for the premium package, however, has not been announced. Why this matters: When Dish Network announced Sling TV in January, we pointed out that Dish had only negotiated a fraction of the licensing deals for Sling TV as it has for its pricier satellite service. That remains true, but with the addition of a premium movie channel owned by Paramount/Viacom, MGM, and Lionsgate, it might tempt some cord cutters to decide their Netflix subscriptions have been rendered redundant. Amazon has a little less to worry about since you get more than free movies and TV shows with its Prime service. Sling TV is not exactly the a la carte menu of TV entertainment that consumers have long demanded, but it’s closer than anything we’ve seen to date. The base package provides a collection of sports channels (ESPN, ESPN2), a selection of basic cable channels (ABC Family, Adult Swim, AMC, BBC AMERICA, BBC World News, CNN, El Rey Network, IFC, Sundance TV, TNT, TBS, Food Network, HGTV, and Travel Channel), and some programming for kids (Cartoon Network and Disney Channel) for a base price of $20 per month. Add-on packages deliver nine more sports channels, five more channels of children’s programming, and programming of interest to news and how-to junkies for $5 per month for each package. Few Sling TV subscribers will want all of those services, but many of them are likely to want Epix. While there’s no official word on pricing, we suspect it will land somewhere between $5 and $15, which is the range of prices that cable and satellite TV providers charge to add Epix. If cord cutters can put together a compelling combination of television services for $35 to $40 per month, Sling TV should be able to swell its subscriber ranks quickly.